The fear of God can be a confusing thing. God repeatedly tells us not to be afraid, yet He also says we are to fear Him. Without getting into Hebrew and Greek, which I only know enough to quickly get myself into deep waters, we sometimes make it simple for ourselves by stating fear of God is the same as respect for God. But that’s not truly accurate. Fear (of God) must involve respect, but the two are not interchangeable. Fear of God is recognizing who He is and who we are in relation to Him. He is a good God who loves and forgives us. He is compassionate, merciful, and loving. He is also just, righteous, jealous, and angry. None of those things are in conflict of one another. None of them can be separated from one another. God has all of those characteristics. We can’t take what we like most about God and make Him into someone we want Him to be. He is sovereign. We can’t compare our own experiences and assumptions of His qualities and project them as truth of who He is. We are created by Him. He is our authority. We may avoid Him, refuse Him, fear Him, respect Him, or love Him, but our reaction to God doesn’t change Him. So how can we fear Him in a way that honors Him? Being scared of God and fearing Him are different. One has something to hide. The other has nothing to hide. Being scared of God makes us run away. Fearing Him acknowledges who He is and places us in a humble relationship with Him. It exposes us to be able to know Him and receive from Him all He wants to pour into us. When we walk in His ways, we fear Him. When we fear Him, we walk in His ways. 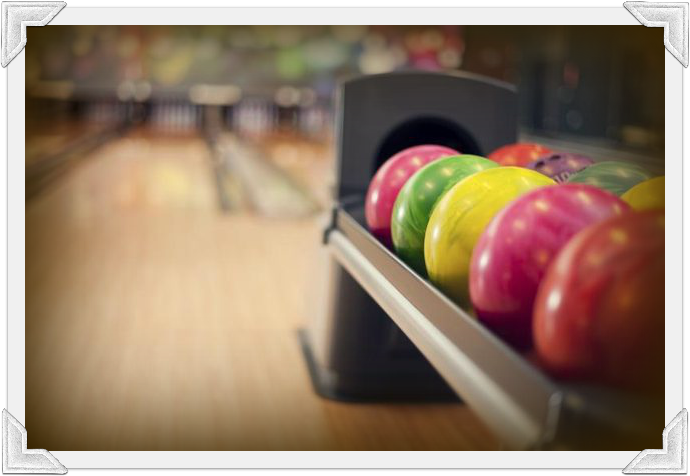 Fear serves the same purpose as bumper pads in a bowling alley, keeping us out of the gutter. I expect the freezer to keep my food frozen. I expect the clothes I put into the washing machine to come out clean. I expect my laptop to load my inbox messages. Despite the trust I’ve put in these things, I’ve been surprised when I find soggy, spoiled food in my freezer, soapy, drenched clothes in the washing machine, and an error message in my email inbox. It’s not just machines and electronics that let me down; I’ve also been disappointed by people I’ve trusted. I’ve been untrustworthy at times, too. 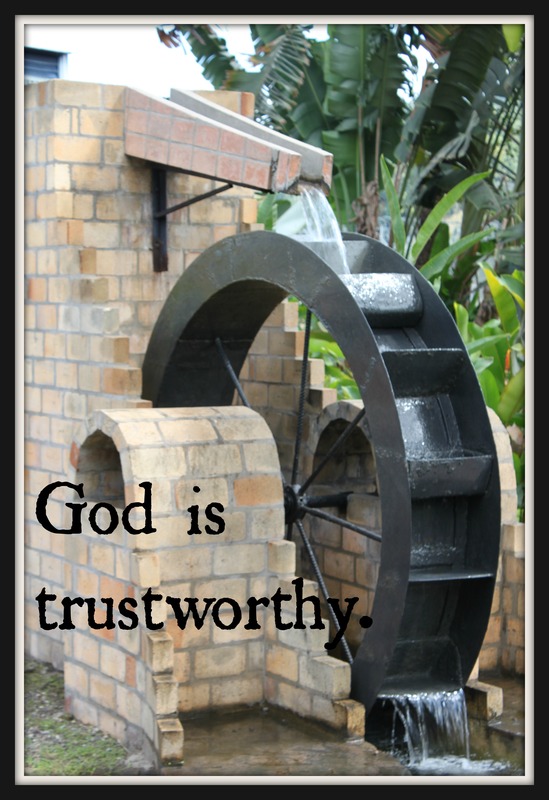 But God is completely trustworthy every single moment and every single situation. When we’re in situations where we feel challenged, threatened, or unsafe, we might question God’s presence and His trustworthiness to care and provide for us. But God’s goal is not for you to remain safe from all danger and mishap. If you’re looking for a cave of faith in which to hide for the remainder of your life in preparation for joyful eternity in heaven, you’re not going to find it. Some of us seek safety, and others seek adventure. If you enjoy the comfort of safety, God will challenge you with adventure. If you prefer adventure, He will challenge you with stability. God gives us safety when we need it, but He doesn’t give us a place to hide when we need to face a conflict, person, or fear. He knows when we’re depleted or in danger versus when we’re running to hide from something or someone we need to face. We can trust God to give us security in any situation, whether we need to retreat to His safe haven or advance with the security of His boldness and provision. Ask God to help you fully trust His timing, provision, and guidance today. What Facebook content do you hide? That was a recent topic among my friends. Several said they hide a few people they want to stay in contact with, but with limits because of derogatory or offensive posts. Others mentioned particular apps they hide – most often game apps they must sift through on their News Feeds to get to the “real” posts. We all agreed on one thing: we hide what we don’t want to see. The “hide” button comes in so handy I think how nice it would be to have a hide button for everyday life. Someone starts gossiping about a friend. Click and HIDE. You try to pay for something and your card is declined. Click and HIDE. You speak without thinking and see the offense on someone’s face. Click and HIDE. You walk out of the mall restroom with your skirt tucked in your leggings. Click and HIDE. You’re driving a car full of kids when unexpected lyrics blare from the speakers. Click and HIDE. You compose a sweet text to your husband – and send it to someone else. Click and HIDE. When have you had a click and hide moment? Perhaps you’ve found ways to hide some mistakes and flaws. I certainly have. I’ve ignored some things…and lied about others. I’ve also learned there’s a better way to deal with the desire to click and hide. It’s called discernment, and it gets rid of the need for the hide button. Well, not completely, because I’m not always going to discern well. But here’s what I’m learning (some days I feel I’m a really slow learner). I don’t want the hide button in life. I want to be exposed. Ouch. It hurts to type it, because I’m not sure how I really feel about it. I want to be exposed with God. That’s better. I can live with that. The funny thing is I’m already exposed with God – whether I decide to be or not! I want my relationship with God to be completely open. He never hides from me. Everything he posts for me shows up on my News Feed. Whether I read it or not, whether I hide it or not, is up to me. I know what I post shows up on his News Feed. What I don’t post is on his News Feed, too. Why not just post it all? Lord, you have examined me and know all about me. You know when I sit down and when I get up. You know my thoughts before I think them. You know where I go and where I lie down. You know everything I do. Lord, even before I say a word, you already know it. You are all around me—in front and in back— and have put your hand on me. Your knowledge is amazing to me; it is more than I can understand. Where can I go to get away from your Spirit? Where can I run from you? If I go up to the heavens, you are there. If I lie down in the grave, you are there. If I rise with the sun in the east and settle in the west beyond the sea, even there you would guide me.